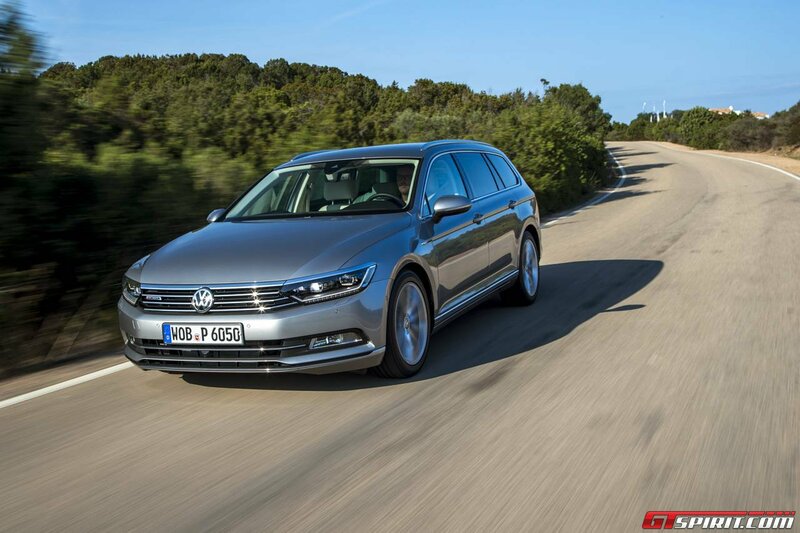 This is the first time we feature a Volkswagen Passat review on GTspirit. 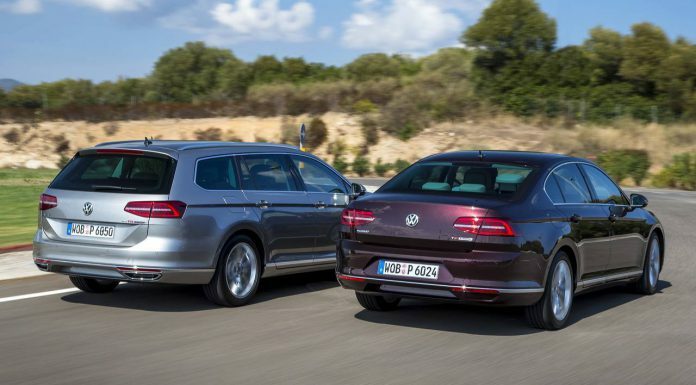 And although it is not typical GTspirit material there are two good reasons to take a closer look at the latest generation Volkswagen Passat. 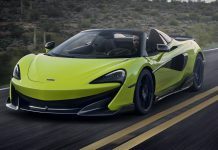 First of all it is the first mainstream car that features the virtual cockpit that launched on the Lamborghini Huracan and 2015 Audi TT. 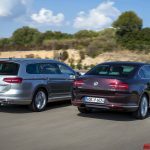 Secondly Volkswagen is aiming to compete with the likes of the BMW 3-Series, Audi A4 and Mercedes-Benz C-Class with the new B8 Volkswagen Passat. 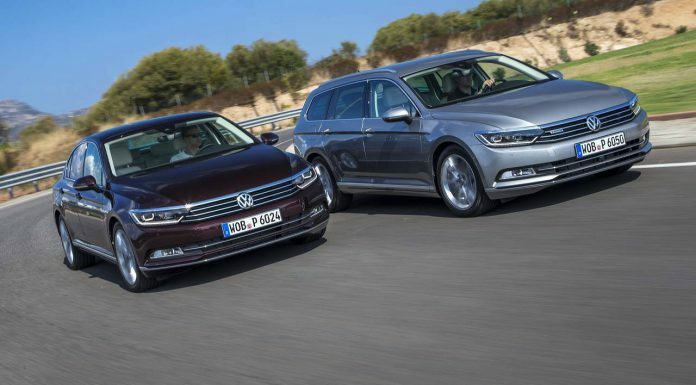 We went to Italy to review the 2015 Volkswagen Passat and find out if the luxury sedans have something to fear! First launched in 1973 the Volkswagen Passat now sees the launch of the 6th generation (8th generation if you count the various facelifts). Since 1973 nearly 22 million Passats have been sold around the world. 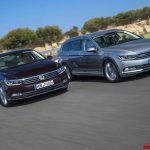 The B8, as the new Passat is known internally, is available as a Sedan and Variant model from the launch this fall. 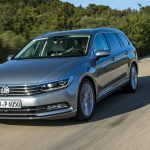 Next year will see the launch of the GTE plugin hybrid Passat and the successful CC – Passat-based 4-door coupe is also in the works. 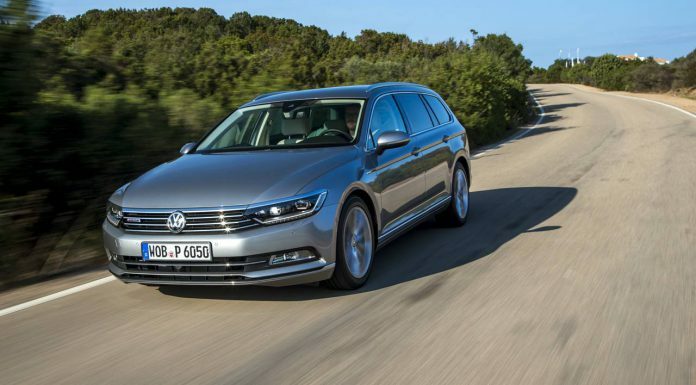 Even a shooting brake variant of the new Volkswagen Passat is not ruled out. 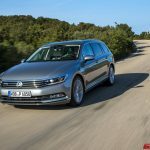 Compared to its predcessor and in line with the downsizing and efficiency trend the new Volkswagen Passat is up to 85 kg lighter and 20 percent more fuel efficient. Ten new engines are available for the new Passat. 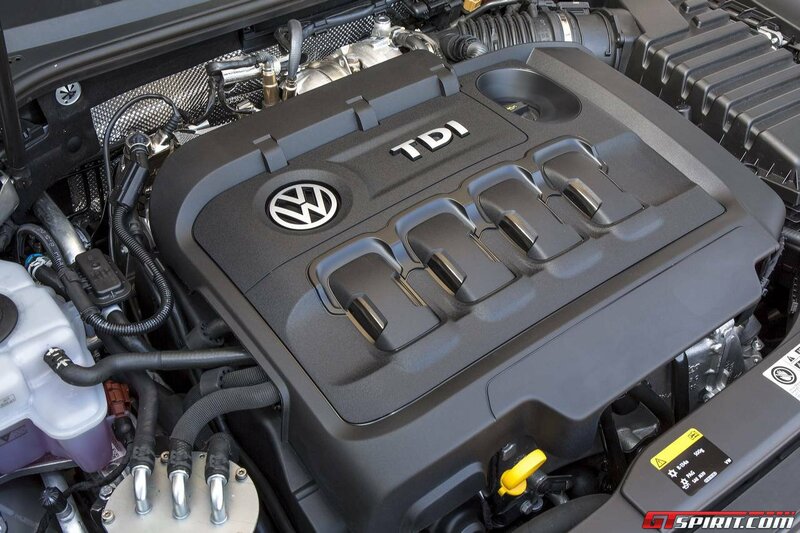 Ranging from a 120hp TDI diesel engine to 280hp TSI petrol engine. At launch the European launch this fall only the stronger Diesel engines and a 150hp 1.4 turbocharged petrol engine are available. 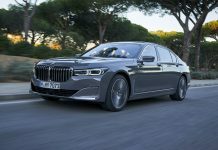 But next year the entire line-up of Diesel engines between 120 and 240hp and petrol engines between 125 and 280hp will be ready to order. 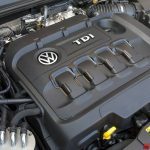 Next year will also see the introduction of the Volkswagen Passat GTE with a 218hp plug-in hybrid engine that offers 50 kilometers full electric range. 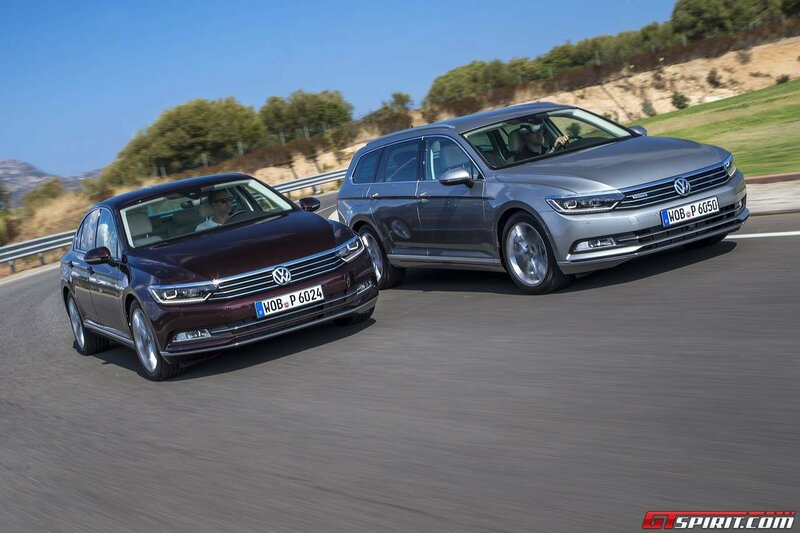 Also coming next year are the R-line Passat and the Passat Alltrack. 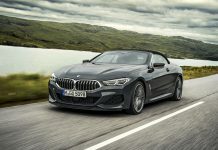 The strongest Diesel engine that we tested on the Italian island of Sardinia comes as standard with a seven speed DSG double clutch gearbox and 4Motion all-wheel drive. 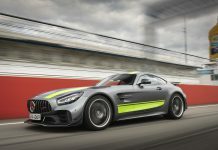 With 240hp and 500Nm of torque from the 2.0 liter twin-turbo four-cylinder this is certainly no luxury. Also equipped on our test car was the adaptive suspension called DCC which has a 10mm lower ride height and the ability to switch between various damper settings. Always combine this with Drive Select system so you can tailor everything from the DCC to the engine and gearbox to steering to your desire. 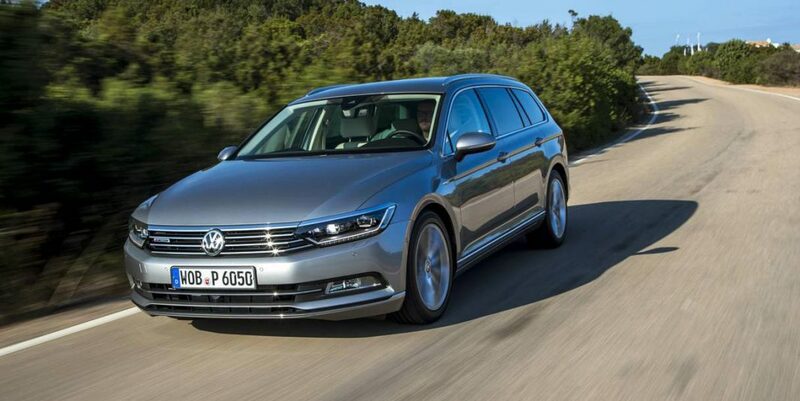 The new Passat comes with a choice of three equipment lines; Trendline, Comfortline and Highline. Our car came with the top-of-the-range Highline which includes things like LED headlights and Alcantara/leather trim. It also included comfort features like Keyless Go and climate control. Certainly surprising was the extensive range of safety systems that Volkswagen offers for the Passat. This includes some systems that we haven’t seen before like the Side Assist that can help you back out of parallel parking spots safely, traffic jam assist and trailer assist. Than there is also Front Assist that brakes automatically when an obstacle or person pops up in front of the car. Getting on board the Passat for the first time was actually quite a surprise. It’s design is clean and, apart from the clock in the middle of the dash, looks very good. The materials used are from a higher quality and have a more luxurious feel than we were expecting. The seats are comfortable and you can changes them in any direction necessary. In the Sedan there is significantly less headroom than in the touring so if you plan to bring any adults or tall kids along go for the Passat Variant. 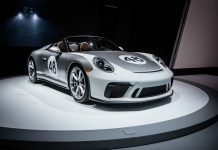 For the driver the biggest choice is between a conventional speedometer and rev counter or Volkswagen’s new Active Info Display which replaces the old dials with a TFT display that can be used to display various things. 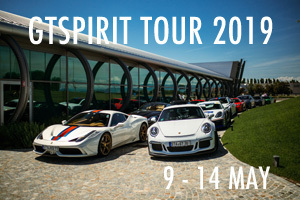 We have seen this already in the Audi TT and Lamborghini Huracan and enjoyed it there. 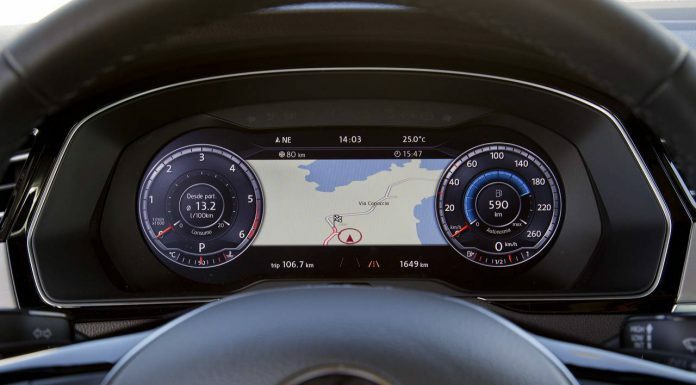 In the Passat it is slightly different because it is secondary to the main infotainment display in the center of the dashboard so it focusses primarily on information and tools the driver needs. Also there are a bit less options available in terms of how the screen is setup, per example the dials can be changed from large to small but even in small are still quite prominently available. 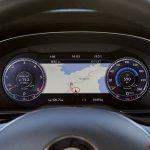 Even though the functionality of the driver display is a bit trimmed down in functionality compared to the Audi TT, the available data for the driver is still quite impressive. 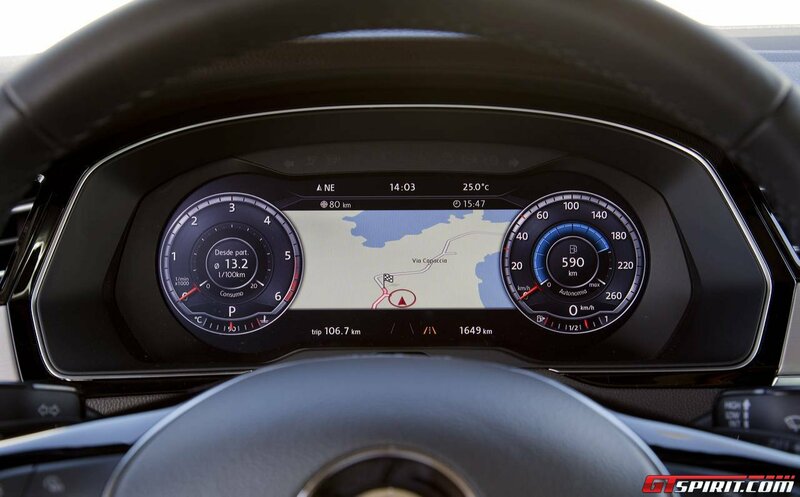 Everything from your key navigation data to the fuel consumption can be shown in combination with a large navigation map. Next year Heads-up display will also be available as an additional option. For us the Active Info Display was a blessing in addition to the touch screen infotainment system which is harder to control while driving. Volkswagen also went on with the ‘Gamification’ of driving. Drive in a environmental friendly manner and you will win challenges while driving. You can share these challenges with your friends and show them how good of a driver you are. Its not for us but the development is certainly interesting. 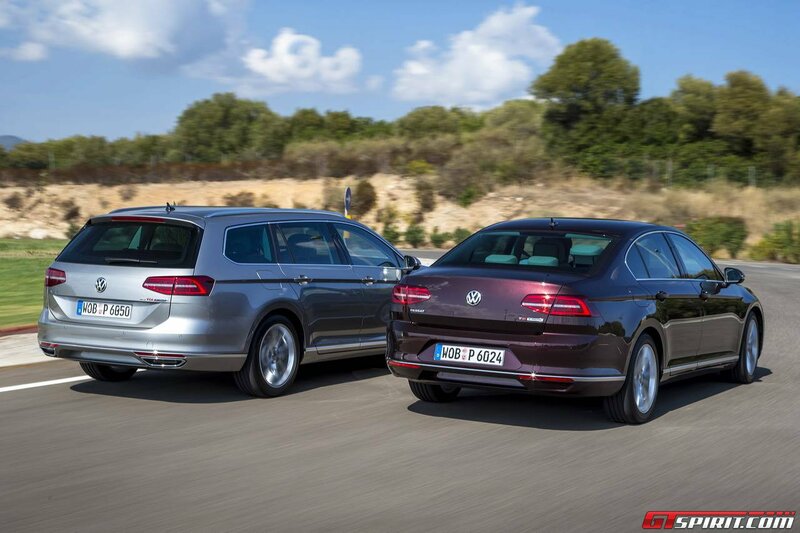 Also in the connectivity department Volkswagen set major steps with the new Passat. Various Apps can be used to stream Music or even build joint playlists with friends or family members in the car. 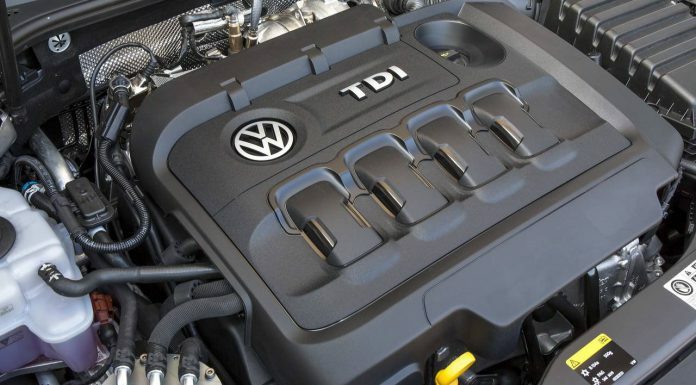 Driving wise the Volkswagen Passat Variant with the 240hp Diesel engine is exactly what you want it to be. 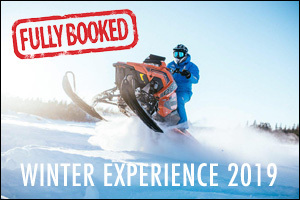 Its tremendous torque really made a lasting impression and the gearbox and four-wheel drive system work nicely together to get you from A to B quickly and comfortably no matter what the weather conditions are. One thing that could do with some improvement is the terrible Diesel rattle, a bit of sound engineering (from the Audi SQ5 we know a Diesel can sound good!) or better noise isolation around the engine bay would have made the new Passat even nicer. Overall the new Volkswagen Passat is a surprisingly good car. 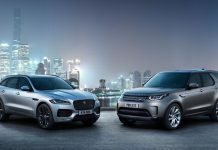 We could find hardly anything ‘wrong’ with it and in many ways it is right on par or even ahead of the competition in the luxury class. But when it comes to luxury and prestige it doesn’t match cars like the new Mercedes-Benz C-Class (yet).